They're real! 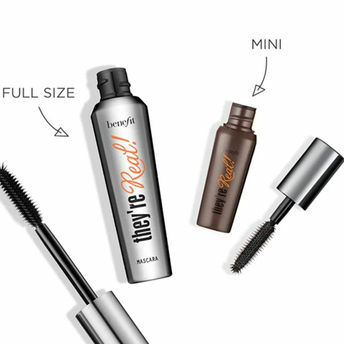 Lengthening Mascara lengthens, curls, volumizes, lifts & separates. The jet black, long-wearing formula won't smudge or dry out. A specially designed brush reveals lashes you never knew you had! Available in full-size & mini. Explore the entire range of Mascara available on Nykaa. Shop more Benefit Cosmetics products here.You can browse through the complete world of Benefit Cosmetics Mascara .Alternatively, you can also find many more products from the Benefit Cosmetics They're Real! Lengthening Mascara - Jet Black range.